After serving in the first World War, he had dreamed of military glory in a second World War. When he returned to his country of Italy after the war, he found his country in political and economic chaos. This made him form extremist political parties. It was obvious that he wanted to run things and he believed he knew how. He took his party into parliament, but didn't do well in the first election he was in. Although he did hold 35 seats in the 1921 election, this wasn't enough for him. He got his Blackshirts, his fascist group, to go around Italy. They caused turmoil, while Benito said that the fighting must end, while all along supporting these fascist groups. Benito finally threatened to make his Blackshirts march through Rome. In a very unorganized march that was unopposed this turned into a parade. The King thought of this as a solution instead of a threat. Mussolini sent a message to the King asking about the status in Italy. The King then replied, "His Majesty the King asks you to come immediately to Rome for he wishes to offer you the responsibility of forming a Ministry." 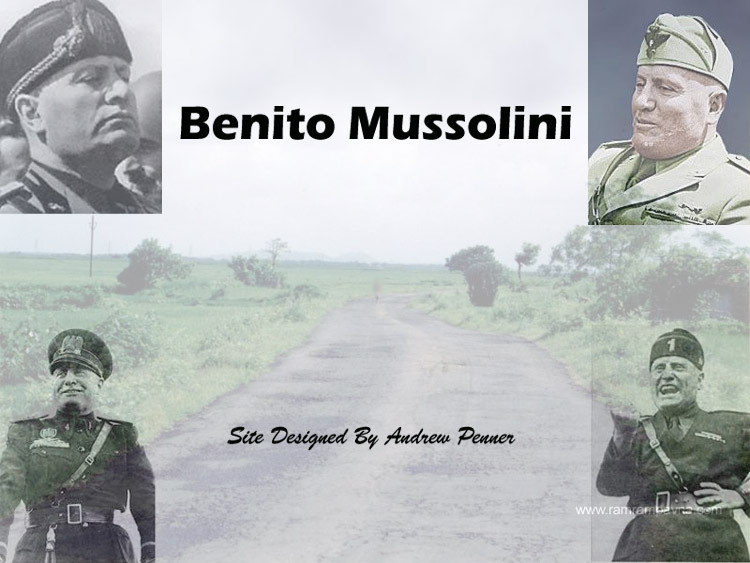 This was the starting of Benito Mussolini's power in Italy. He had won, he was the Prime Minister.